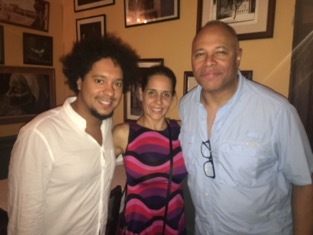 Our May, 2018 encore trip to Cuba with the great Byron Stripling was spectacular despite tropical storm Alberto parking himself over Cuba for nearly our entire time in Havana. But, our troupe of intrepid travelers took the wet and wind in stride and never complained. Not once. And Byron’s final concert with Aldo Lopéz-Gavilán at the Museo Nacional de Bellas Artes de La Habana was another incomparable CR&V produced performance. Everyone went home with a smile on their face. On March 27-April 3, we begin the year with a delegation of Cuban music aficionados for the long-awaited homecoming performance of eight-time Latin Grammy nominee, composer and pianist, Chuchito Valdés, son of legendary Cuban pianist, Chucho Valdés. It has been nearly a decade since Chuchito has performed publicly in Cuba and our delegates will be VIPs for Chuchito Returns at the Museo Nacional de Bellas Artes de La Habana on April 2. This will be a rare insight into Havana’s music scene and the life of one of Cuba’s most celebrated musicians and his family. Next, April 10-17, will be an inspiring collaboration with the Scottsdale Center for the Performing Arts and the Scottsdale Museum of Modern Art. This delegation is the culmination of Scottsdale Arts’ season-long Discovery Series on Cuban art, literature, music and culture. Scottsdale Arts Discovery Cuba. As an added bonus, the trip will overlap with the 13th Havana Biennial, a celebration of Caribbean art and culture, and our delegates will have VIP status for the opening events. More on the Biennial in the sidebar column to the left. Our spring season concludes May 22-29 with a collaboration with the Grand Canyon Music Festival and its founders Clare Hoffman and harmonica virtuoso, Robert Bonfiglio. 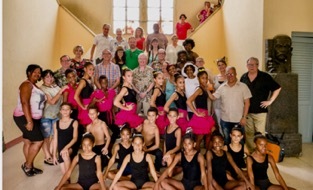 In Cuba, Robert will perform in separate concerts with the Havana Chamber Orchestra and the Aldo López-Gavilán Quartet. He will also give a master class for some of Cuba’s most promising musicians at the Instituto Superior de Arte in Havana and the Benny Moré School of the Arts in Cienfuegos. If you, or someone you know, is interested in traveling with us next year, please ask them to get in touch to reserve their spot before these go on sale to the general public. Cuba is heating up!